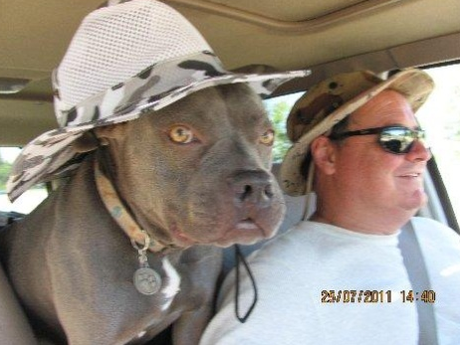 Dog — specifically, a rescued Pit Bull named Petunia — was Roy Marcum’s copilot. Most days, she rode with Marcum to and from his various calls, and Wednesday, November 28, was no different. Except that Marcum never made it back to his vehicle. The 45-year-old Sacramento County animal control officer was fatally shot while attempting to rescue several dogs and cats from what was thought to be an abandoned house. Like any profession in which the goal is protecting the public, a certain degree of risk is inherent in Animal Control. Part of what made Marcum such an effective officer, according to colleagues, was his ability to defuse tense situations. He had a way of talking to people that put them at ease. Most of his conversations began and ended with a laugh. So when Joseph Carey (allegedly) shot Marcum earlier this week from behind a closed door, fatally wounding him, it sent the community into a sort of collective state of shock. The county is now considering adding bullet-proof vests to its animal control officers’ uniforms. The option makes sense — anyone capable of harming a dog or cat should be considered dangerous. While details of the shooter’s circumstances are still materializing, a clear portrait of Roy Marcum has emerged. Friends say his commitment to animal welfare was matched only by his devotion to his family. A beloved father and husband, Marcum could regularly be seen at his kids’ softball games and outdoor events. That is, when he wasn’t at the shelter, walking, visiting, and otherwise checking up on the animals he’d rescued. But I don’t need others’ accounts to convince me that Marcum was a remarkable person. The fact that he chose mangled-tail, crooked-mouth Petunia as his partner says it all. Officer Marcum, DogTime salutes you. Our thoughts are with your family.